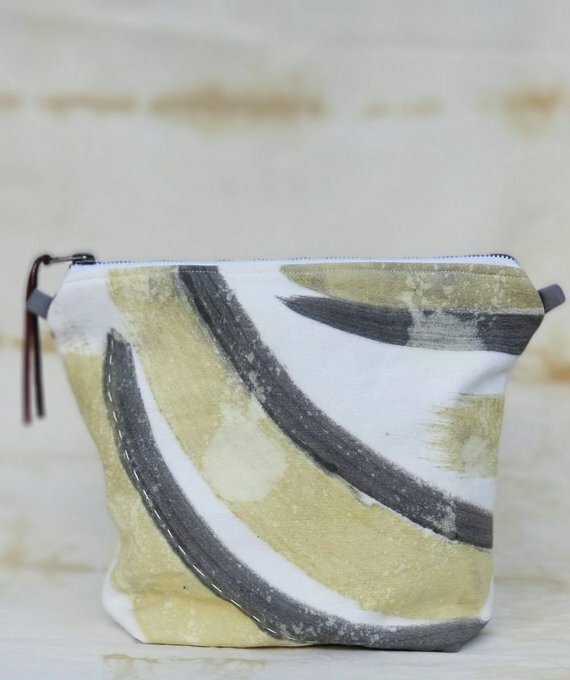 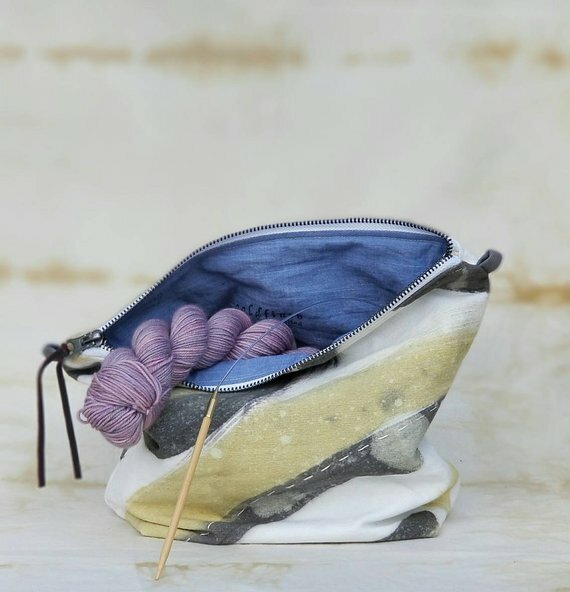 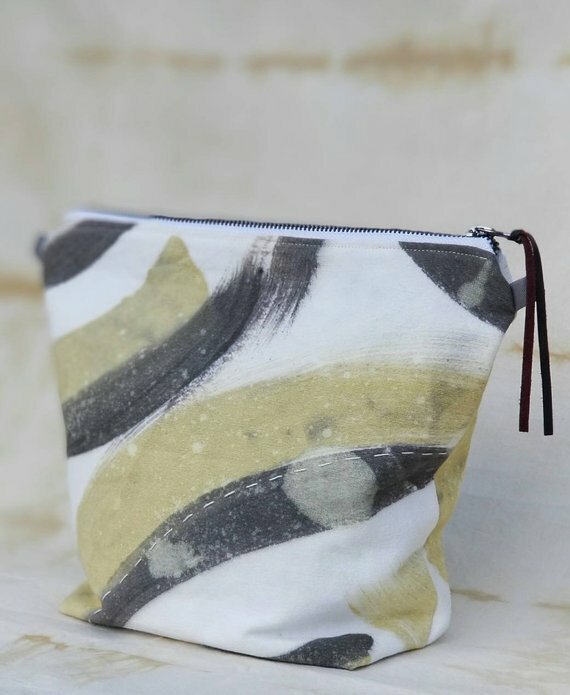 This zippered bag is truly one-of-a-kind. 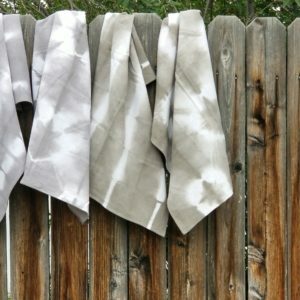 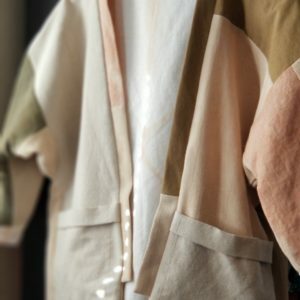 I painted upcycled cotton canvas using natural dyes I made with pomegranate skins. 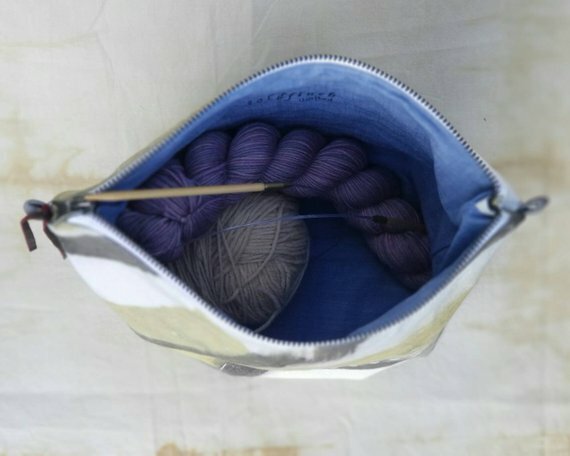 Simple embroidery and lemon juice bleach techniques add depth to the bag. 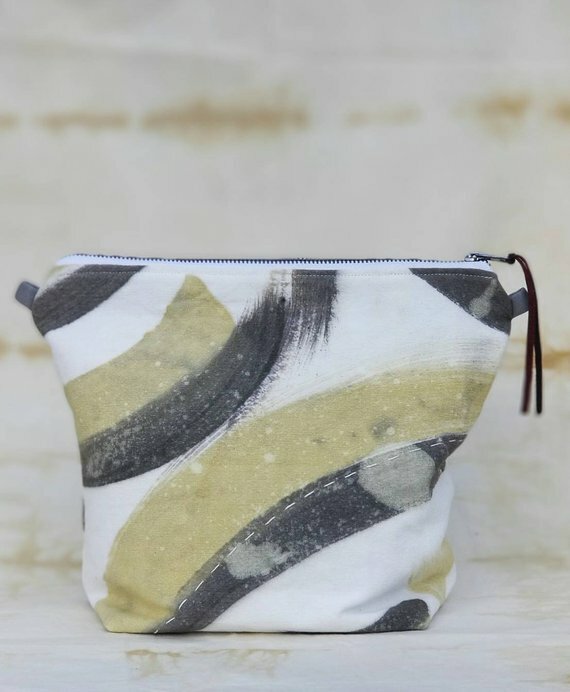 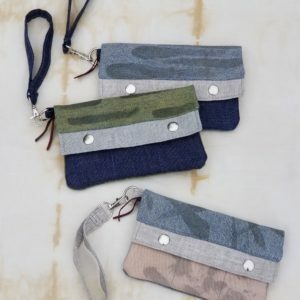 The interior is lined with upcycled cotton. 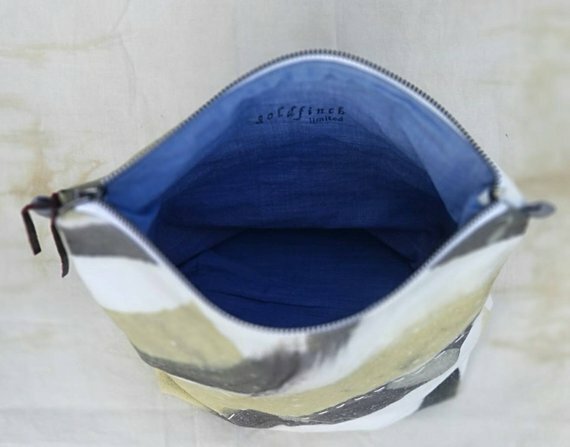 A metal zipper and upcycled leather zipper pull complete the bag.